There was something about this book that unlocked in me an unexplainable sadness that I succumbed to tears after a few pages. The unnamed protagonist’s reverie after the funeral (yes, I immediately and correctly guessed it as that) made me recognize his silent grief along with the gut instinct to find a place of comfort and solace. It led him to the house of the Hempstocks, the one with the pond that was called an ocean by his childhood best friend. The book had started out normally in a way that the author used the usual recollection of childhood memories as a springboard for the unfurling of a story, until the elements of fantasy took the boy’s consciousness to a different level, in the guise of a terrifying cloth-like monster that transformed into a worm and buried itself into the little boy’s foot and won’t let go of him. *shivers* The mystical and magical had taken over him, and any reader (at least I did) would feel a bit confused between the boy’s perspective of reality and his fantastical coping mechanism. The novel was sublime! It was dark, it had a heavy hold of my heart, but it was brilliant. We adults almost always outgrow childlike wonder because growing up means being rational and objective about the world. Sometimes we lose that wonder to fear, pain, and anger, and so the Hempstocks devised a way for this man to return to their home once in a while in his timeline just to give him back his hope in life, I guess, after he tried real hard to overcome his trauma as a kid. He needed to go back to remember he had friends who provided the warmth and security he was not able to feel from his immediate family. We are all scarred human beings, and it really depends on our will to move on to get out of the dark and not get comfy with it. The Hempstock women though, needed him to forget his visits to proceed with his life as he should. 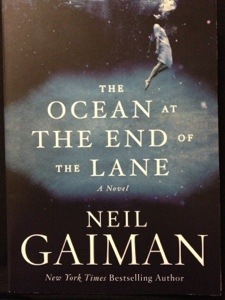 In my opinion, this is Gaiman’s BEST work so far, where it’s deeply personal yet magical at the same time. He bravely shared a story of human experience not spoken out loud in our day to day lives but in confidentiality with close friends or families (or shrinks, if need be). The Ocean at the End of the Lane is powerful and poignant because life’s tests of a child’s vulnerability and strength was something we all kind of went through. Our imagination was the key in helping us recover and survive, regardless of whether our childhood friends were real or not. Hiccup and Toothless are back! The boy has grown into his teens and they made him handsomer, of course. I haven’t thought of buying Cressida Cowell’s books yet because the movies are really good. I love the sonic boom of the trailer’s flying sequence (replace Superman with a dragon, ha ha), so I can’t wait to see more visual awesomeness from this next year! I initially thought this was the biography of Walt Disney, but it turns out it’s about the life of P.L. Travers, the author of the Mary Poppins book series and how the entertainment magnate convinced her to sell the rights and make it into the movie that will change her life and the company itself. I remember watching from the special features of the Mary Poppins anniversary dvd that the author was reluctant to make it into a huge cinematic production and was very meticulous on the details and the music being produced. It turns out to that the author’s creation of the protagonist nanny of her books was symbolic of a personal sentiment with her father. Very interesting. Tom Hanks as Walt Disney? He kinda looks like a fuller version of him, but act like him? Am not sure yet. Emma Thompson is always wonderful. She seems to emanate the vibe of Travers, as I imagined from the interviews I’ve heard about her. Hoping to see more trailers or features to know more about it! What happens when two teen heroes unexpectedly meet in a weird twist of fate? A clashing of egos and an exciting battle against the same enemy. It’s (geographically) logical for this to happen. Kudos to this fantastic idea of a crossover, Rick Riordan! It’s an action-packed short story that both Jackson and Kane fans would love. It’s on Carter’s perspective though, and despite Sadie’s absence (his sister), he re-orients readers with their Egyptian background really well. It’s also amusing to read how he reacts to the confidence of the Greek boy and how he’s clueless about Greek history (because that’s one of his sister’s strengths). Again, here’s hoping for a successful movie franchise of Percy Jackson so it would reach this great crossover episode! I got pretty excited with this series which I saw while I was randomly browsing through the young adult section of a bookstore. I was curious on this descendants-of-Grimm premise, wondering how else it could twist and bring new life to fairy tale characters after reading a few Fables (the graphic novels), and having seen two seasons of Once Upon A Time on TV. Alas, I kinda lost steam on it and it took me a few months to finish it. I was, however, smitten with Daphne, the younger Grimm sister because she’s your usual adorable little girl who always believed in goodness, and magic, and people. I think I got turned off by Sabrina, her older sibling who was her complete opposite. I’m kinda tired of jaded orphans as characters like Emma Swan on OUAT, because the bitterness and cynicism stereotypes them as such. I guess it’s more enjoyable for younger audiences who’ve never been too exposed to retellings before. 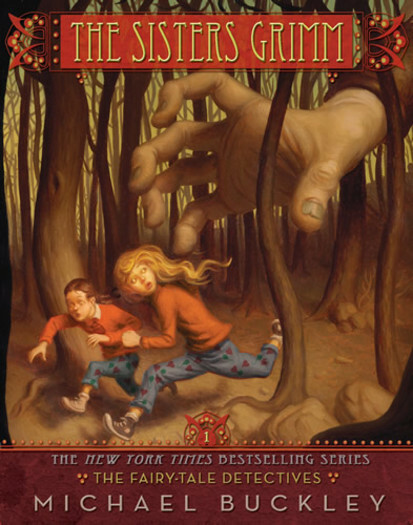 I am, however, still curious of what will happen because more fairy tale characters will come into the lives of the Grimm sisters and make their existence more complicated in the next book. Will I invest my money in the next books? Hmm. Am not quite sure. I’ll give the second book a shot, but I’ll probably buy it when I’ve bought the top three books on my list. I took a quick break from the foreign/western books last weekend and bought this one to show my continued support for my fellowmen. 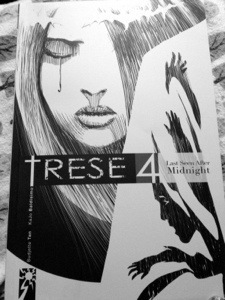 This volume contains 4 new cases, and the last two stories just BLEW ME AWAY. I’m kinda afraid now to get too sad and heartbroken because a bangungot entity might just want to hug me. Lastly, I think I’m going to see Manny Pacquiao in a different light now, as he was the main character of that superb story about why he fights like there’s no tomorrow…because if he loses, he really won’t see the light of day. What’s the connection with the supernatural? Go find out!